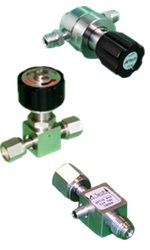 AP Tech is a manufacturer of gas handling components – primarily pressure regulators and valves. AP Tech products are known to deliver gases with uncompromising quality, performance and reliability. You can download the AP Tech Gas Delivery Components Condensed Catalog from this link, or browse the embedded document below. AP Tech Gas Delivery Components Condensed Catalog from Hile Controls of Alabama, Inc.